Arienne Holland is the Director of Marketing at Raven Tools—a marketing management reporting tool for marketers. As she likes to joke, she markets marketing software to marketers. It’s funny, and it’s true. It also makes her an expert at creating more consistent content. A few months ago, Arienne published a review of the CoSchedule editorial calendar for WordPress outlining how it had helped her solve some of the nagging issues in her team’s workflow. As she says, it saved her from WordPress Draft purgatory. Blog ideas go in, but sometimes content never comes out. As things pile up, it can get harder and harder to stay ahead of the curve. Arienne tackled this problem head on and came up with some surprising results. So, what is the best way to create consistent content for your own blog? We broke down some of the key tactics that Arienne used to turn her process around. As it turns out, the answer had just as much to do with the team as it did with tool, and that’s where we can really learn from content marketing transformation. In order to get her team creating more consistent content, Arienne knew that she had to get buy-in from the team right away. “It’s hard to get people to change their habits—even bad habits—related to workflows. If the team wasn’t willing to adopt it, or if they couldn’t have seen its benefits so quickly, then we wouldn’t have had so much success,” Arienne said. The trick that worked for Arienne was immediately going to the benefits of the new workflow rather than getting them caught up in the specifics. This all starts with how you introduce the idea. She could have said, “Hey everyone, we’re going to do a new workflow and here’s what it is,” but she didn’t. Instead, Arienne showed her team how she was going to help them save time, and get their work done faster and easier than ever before. The icing on the cake was that she was right. Proving benefits makes new workflows an easy sell. Key Insight: As you look to revamp your team’s workflow, always be sure to consider how it will impact and benefit the entire team. Acknowledge that changing habits can be hard, and you will be more likely to succeed. One of Arienne’s primary metrics for success was the number of emails that her team was sending in conjunction with each post. To her, the number of emails required to make content happen was a clear indicator of how inefficient their process was. By shifting away from email and moving to a simpler task-based workflow, she was able to reduce the team’s email load by 75% and make things more efficient. She also credits the use of editorial comments, a common feature in popular editorial calendars, as a part of their success. “Tasks and comments have helped keep our team organized and efficient,” Arienne told us. Through this workflow, she was able to provide a clear outline for each member of the team. Everyone knew what they were supposed to be doing, which avoided confusing and excess email. It was a victory for the whole team. Key Insight: Define a workflow for your team and stick to it. Don’t just rely on email to get it done. Along with getting everyone on the same page, it was also important to get them all in the same place. Editorial workflows are notoriously diverse. Ideas go into spreadsheets, planning goes on the calendar, conversion happens in email, and content goes into WordPress. It’s disconnected, and it can get messy. The key is bringing it all together. Raven had always used a calendar to manage their WordPress blog, but as Arienne describes, it was missing the frills that truly began to save them a ton of time and keep them on track. Earlier last year, when they switched to CoSchedule, they found that their productivity improved instantly. “With CoSchedule, you can communicate essential details about a particular blog post all in one place.” And that is the key difference. Their new editorial calendar gave Arienne a birds eye view of where they’ve been, and what they have coming up by combining editorial planning, team conversion, workflow, and social media into one simple tool. It also allows the team to communicate within the context of content they were already creating—something they found missing in their old process. “No more separate emails! We are able to communicate essential details about a particular blog post all in one place. And because the conversation is permanently attached to the CoSchedule record of the blog post, you can reference the details if you forget them later,” Arienne commented. Of course, let’s not forget about the added motivation that a good editorial calendar provides as well. There is nothing more motivating than a blank editorial calendar staring you right between the eyes. You can get started on this the free way with these downloadable editorial calendar templates, or a take a look at CoSchedule like Raven did. Key Insight: A central editorial calendar for your content planning is an essential aspect of creating consistent content for your blog. 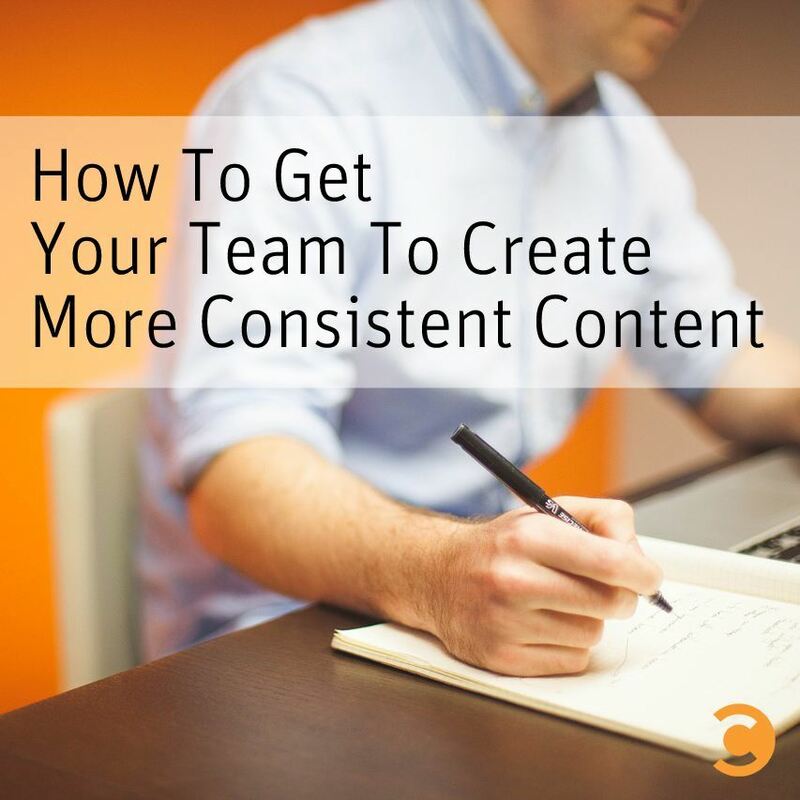 How Do You Create More Consistent Content? At Raven, content marketing is used for both customer acquisition and customer retention. Those two business goals define what they do. Without it, they put their business at serious risk. For Raven, and for you, the ability to create consistent content is huge. By bringing your team together, avoiding email, and managing your entire workflow in one place, you can make a huge impact on your productivity and content—just like Raven did. What other tricks have you found for creating more consistent content? Share them in the comments below! Garrett Moon is the author of The 10x Marketing Formula and CEO and Co-Founder of CoSchedule, the web's most popular marketing calendar and the fastest growing startup in North Dakota. Ranked as the best business tool built by a startup on Entrepreneur.com, CoSchedule helps more than 10,000 marketing teams stay organized in 120+ countries around the world.